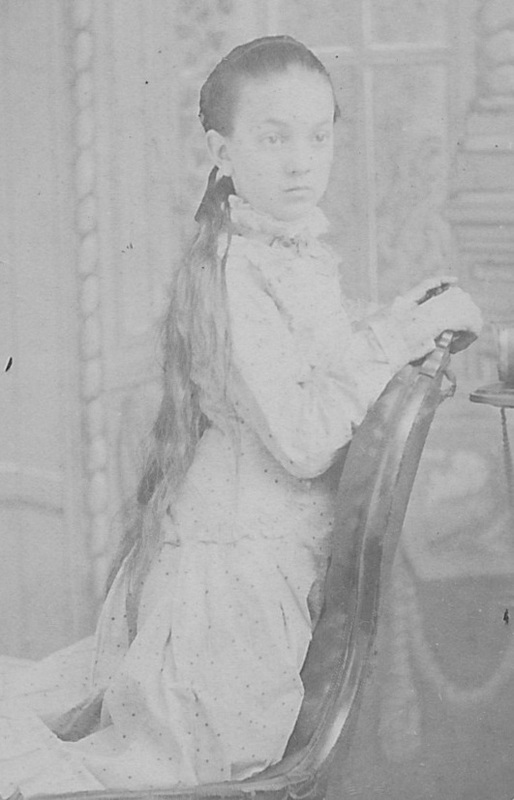 Josephine Jane Jones (November 15, 1867-May 13, 1891), daughter of Samuel B. and Rhoda (Coate) Jones, married Joshua Francis Hodson (1857-1930) on December 25, 1888, under the care of Van Wert Friends Meeting. It was a service conducted by the pastor, reflecting the more evangelical stream of Quaker development. They had two sons: Samuel Pleasant Hodson (November 30, 1889, Van Wert County, Ohio-November 13, 1961, Montgomery County, Ohio) and Kyle Jones Hodson (April 2, 1891, Van Wert-May 23, 1891, Van Wert). Although Joshua came from Quaker stock in North Carolina, his line of the family had not officially been members of the Society of Friends for several generations, even though they worshipped with Friends (and extended family members) at Centre and Concord and are buried next to the meetinghouses. Josie’s family, on the other hand, had been more meticulous about observing Quaker discipline. Before their marriage, Joshua formally requested to join Friends at Van Wert, where he was accepted into membership. As a consequence, Josie’s ancestry is well documented in William Wade Hinshaw’s massive Encyclopedia of American Quaker Genealogy (Ann Arbor, 1936). In fact, assembling her lineage from these abstracts allowed my first practice in using Quaker records and instilled a respect for the painstaking care Friends take in minuting church business sessions, something I now see as a unique form of liturgy in a denomination that generally eschews outward forms. Some things merely reappear in new ways; among Friends, the origin of keeping minutes was a matter of recording sufferings in the face of persecution. Much of her family first came to Ohio in the early years of the 1800s, largely in response to Carolina Friends’ concerns over slavery. Many of Joshua’s relatives had also chosen to move to slave-free territory, while others remained in the South as a witness against evil. Josie’s ancestors resettled as pioneers on the upper stretches of the Great Miami River valley. Their migration, coincidentally, came largely at the prompting of Joshua’s kinsman, Zachariah Dicks, a recorded minister who warned of cataclysmic consequences a slaveholding society would encounter. By 1808, Bush River Quarterly Meeting, which had once been the most important Quaker center in South Carolina, encompassing approximately 500 families largely in Kershaw, Marlborough, Newberry, and Union counties, had been depleted of its membership; the last Friends in the area would “lay down” the Meeting in 1822. So many Quakers came from South Carolina to Ohio that the members of Cane Creek Monthly Meeting in Union County carried their minute book with them and continued its use as Caesars Creek Monthly Meeting, six miles east of Waynesville. There it would record the arrival of a George Hodson from Centre Monthly Meeting, North Carolina, as well as the families of John and Sarah Hodson and Solomon and Elizabeth Hodson from neighboring Ohio Meetings, all in 1814. Among Josie’s ancestors prominent in the South Carolina minutes are Jones, Coate, and Pearson, with additional Joneses in Columbia (now McDuffie) County, one of the few Quaker settlements in Georgia. There we find marriages, births, deaths, and, in the case of an Enoch Pearson, son of John (there were several Enochs; this one was not a direct ancestor of Josephine), a disownment from Padgett’s Creek Monthly Meeting in Eighth Month, 29, 1778, for “going out with the army in a warlike manner,” conflicting with the Quaker testimony that war is contrary to the spirit and teachings of Christ. There is also a Jonesville and seems to have been a Tuckertown not far from the South Carolina Meetings – additional indicators, perhaps, of her ancestors. Thus, on several lines, Josephine descends from prominent Quaker ministers – and blacksmiths – with roots in South Carolina. Miami County quickly became a hub of Quaker activity. West Branch Monthly Meeting was established First Month 7, 1807, two miles southwest of West Milton; when this Meeting was set off from Waynesville Monthly Meeting, its members included Henry Coate, David and Mary Jones, Enoch and Mary Pearson, and Samuel Jones, an elder. Mill Creek Monthly Meeting, in Monroe Township just north of the Montgomery County line, was set off from West Branch in Second Month 23, 1811, and continued until 1860. Also in Monroe Township was Old Concord Meeting, with Hiram Pearson as one of its active members. Union Monthly Meeting, in Newberry Township (presumably named for Newberry, South Carolina) just north of Covington, was set off from West Branch in First Month 2, 1813, for Friends living north of Ludlow Creek. Until Van Wert Monthly Meeting was set off in 1875, this would be the northernmost Quaker Meeting in the western half of the state. John Coate and Esther Pearson were clerks of the new Union Friends Meeting, Benjamin Pearson was recorder, and Samuel Coate and Luraneh Coate were among the overseers. Finally, in 1866, Center Friends would build a meetinghouse southwest of Ludlow Falls, and it would include both a bell and steeple – the first Quaker place of worship anywhere to include such worldly notions. Some Friends, bothered by such changes as well as the introduction of hymn singing and even paid pastors, would break away, forming Wilburite (or Conservative) meetings at Laura (1889-1947) and perhaps at Ludlow Falls, though details on these are sketchy, at best. In time, Center and West Branch would unite, keeping the West Branch name while moving into the newer meetinghouse. The older West Branch meetinghouse was razed in 1946. 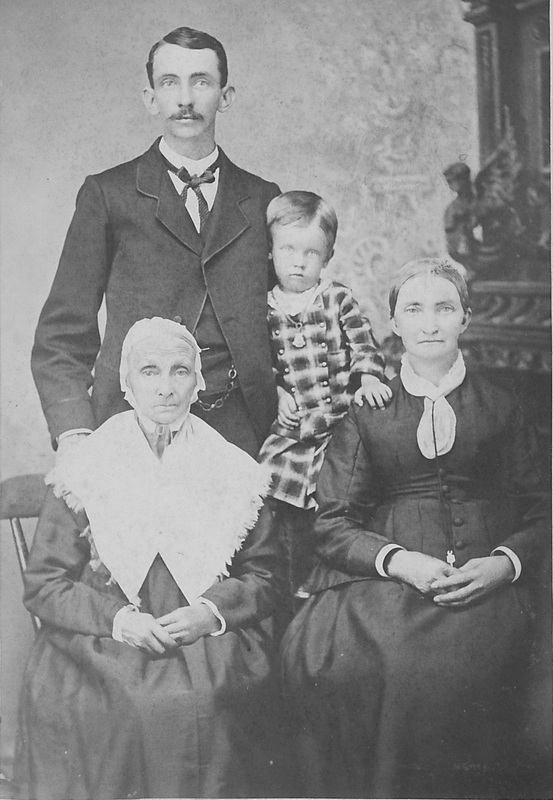 When Samuel and Rhoda took their membership to Van Wert Monthly Meeting in the rich farmlands of the newly drained Great Black Swamp of northwestern Ohio, Eleventh Month 25, 1876, they were accompanied by three of their younger children, Barton, Josephine, and Lambert. The others arrived the following year, and the minutes fill us in on some of their activities. Unfortunately, Van Wert’s minutes are not nearly as complete as those of its parent meeting. Perhaps its members felt that civil record keeping was finally adequate for births, marriages, and deaths. Other records, 1915-1924, have been lost to fire. 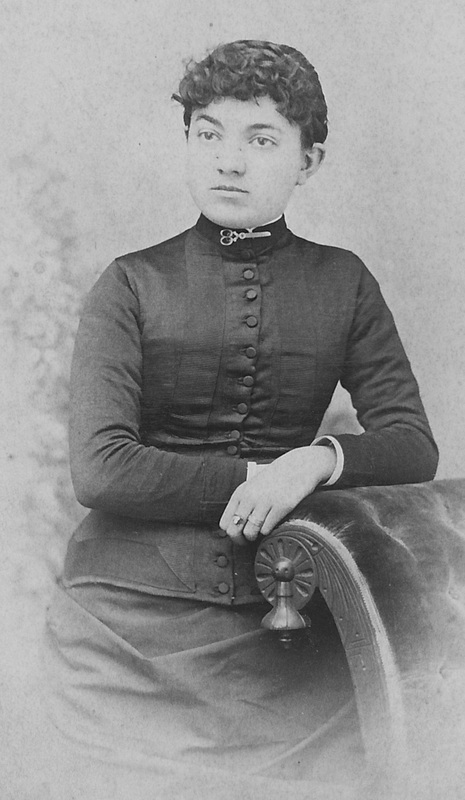 Whatever the reason, Van Wert’s minutes largely concern acceptance and closing of memberships – neither the marriage of Joshua Francis Hodson and Josephine J. Jones on Twelfth Month 25, 1888, nor her death in 1890 are recorded. But one can find that in the three decades, 1880-1910, nearly a thousand Friends were dropped from membership – not including disownments. There is no indication how many of these moved on to new Friends communities to the west. 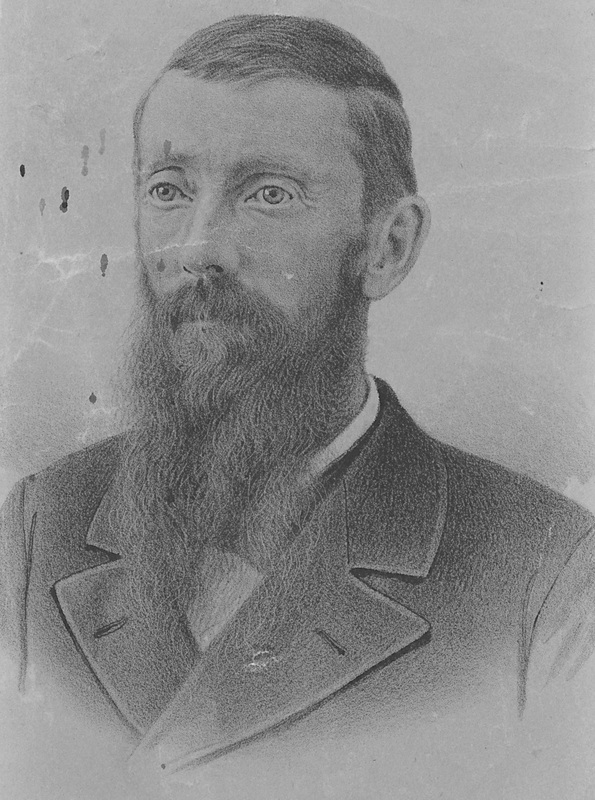 Henry W. Jones removed to Spiceland (Indiana) Monthly Meeting in Fifth Month 31, 1879, and returned to Van Wert Monthly Meeting with wife, Carrie T., and two children, Fifth Month 28, 1887. They were released from membership by request in 1899. 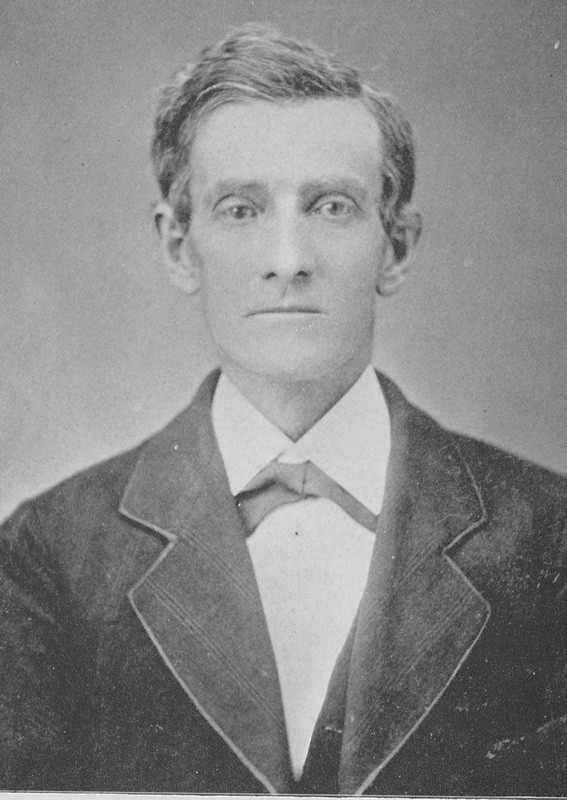 Samuel C. Jones was granted a certificate of transfer to West Branch, Fourth Month 28, 1883, and from there to Columbus Monthly Meeting, Sixth Month 13, 1891. There is no record in Hinshaw of its being received in Columbus. Several things jump out when comparing these tables with earlier family data. First is the high mortality rate in the family: seven of the 10 children are dead within 50 years of the first birth. Second is the shift to the “learned professions”: one son is a physician; two others, lawyers; and a fourth, a pastor carrying a title that would have been unthinkable among Friends a generation before. 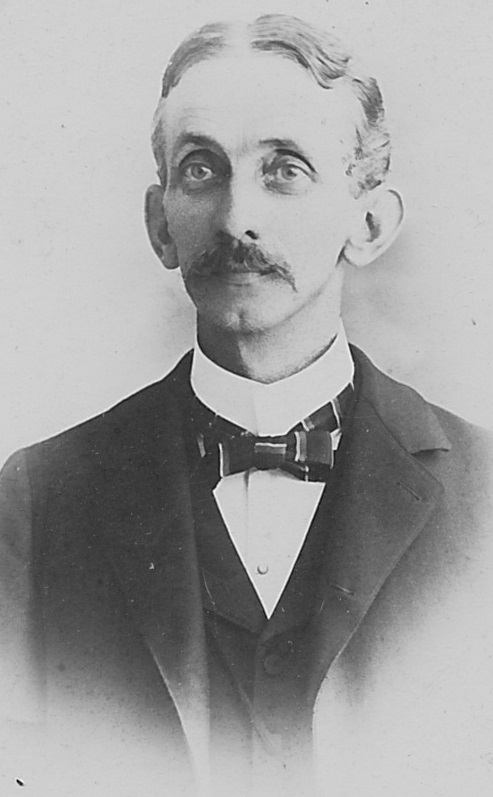 The 1896 Almanac includes a biography of Rhoda Jones, widow of Samuel B. Jones, as well as a full-page portrait of him. She is described as the granddaughter of “a pious Quaker minister,” and both he and her father were blacksmiths. Although there is no identifying information on the photo, I am confident the woman in traditional Quaker garb is Rhoda (Coate) Jones, Josephine’s mother. 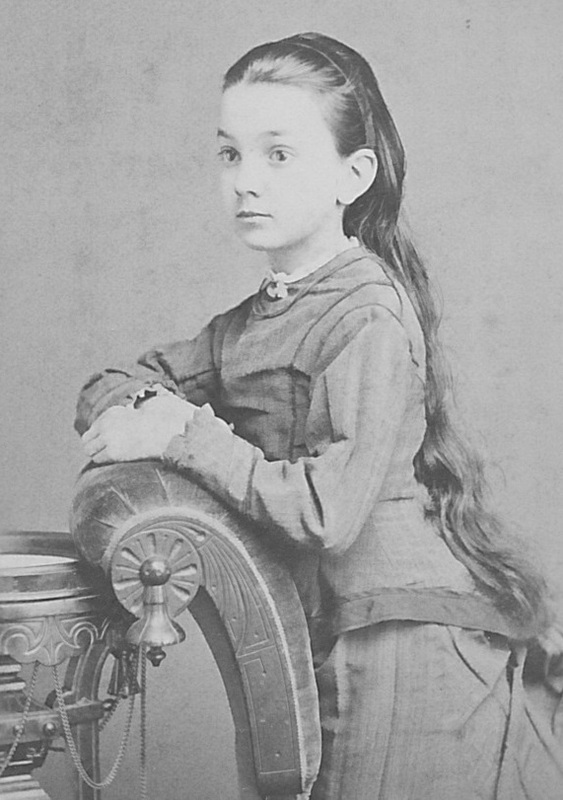 After her daughter’s death, she remained close to Joshua Hodson and all of his children, including those by Alice McSherry. I am not sure which of Rhoda’s sons is shown here with his wife and child, although I suspect it was Samuel, with whom she lived her final years. JONES: In the earliest records of Quaker sufferings – those of 1650-1689 collected and published by Joseph Besse in 1753 – we find Quaker Joneses largely in Bristol, but also in Berkshire, Gloucestershire, Hertfordshire, Wiltshire, Worcestershire, Surrey, Wales, and the Barbadoes. The name also figures prominently in among Pennsylvania and Maryland Friends, and it is likely that from that region our lines migrated south in the mid-1700s. Philadelphia Monthly Meeting’s records include the Seventh Month 21, 1711, arrival of Samuel Jones and wife, from the Meeting at Haverford West. “About 3 years past he came here from Ireland 2 years of which he lived with his father … and with the approbation of friends married.” The repetition of the name Samuel in Josephine Jones’ line points to this arrival as the likely origin of her family in America; in either case, the source appears to be Haverford West Monthly Meeting in Wales. The West Branch (Ohio) minutes record a Wallace Jones, born Third Month 6, 1773, marrying (presumably in South Carolina) Rachel (unknown), born Twelfth Month 27, 1774. The first of their seven children is Philemon, born Eleventh Month 21, 1794, presumably in South Carolina. Wallace, his wife Rachel, and children were received by request at West Branch, First Month 19, 1811. Wallace died Ninth Month 20, 1854, and was buried at West Branch. On First Month 1, 1818, their son Philemon married Naomi Tucker, daughter of Abraham and Mary (unknown) of Montgomery County. Among their six children was Samuel B. Jones, born Twelfth Month 13, 1820. Philemon died Fifth Month 2, 1830, and was buried at West Branch. Naomi, widow of Philemon, and children Samuel, Anna, Benjamin, Elizabeth, and Philemon were received First Month 17, 1838, at Union Monthly Meeting on a certificate of transfer from West Branch dated Twelfth Month 14, 1837. Naomi died Third Month 3, 1851, and was buried at West Branch. In other minutes, son Benjamin was disowned, Seventh Month 14, 1847, for marrying contrary to discipline, and Philemon and wife Esther and children were granted a certificate of transfer to Westland Monthly Meeting, Sixth Month 17, 1857. 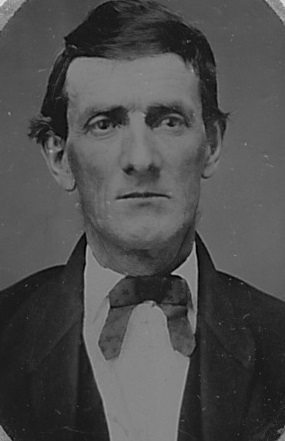 JONES – Samuel B. Jones was born in Miami county, Ohio, December 13, 1820, and died at his home near Van Wert, June 6, 1889, aged 68 years, 6 months and 12 days. When he was about nine years of age his father died leaving a family of six children of whom he was the second, so that at an early period were developed in him those principles of self dependence, of honesty, and steadfastness of purpose which characterized his entire life. In 1843 he was married to Rhoda Coate who survives him. Of this union ten children were born, two of whom died in infancy. Of the remainder, seven sons and one daughter, three sons preceded him to that Heavenly country. Having a birthright membership in the Friends church he was devotedly attached to its principles and throughout his life was willing to sacrifice much for the cause of truth, being ever ready to suffer wrong rather than to do wrong. As a husband, a father, a neighbor and a citizen his life was that of an earnest christian. Quiet and undemonstrative in his manner he yet had about him that nobility of character that won for him the esteem of all who knew him. In 1876, feeling that duty called him, he with his family left the old home in Miami county and came to Van Wert. The toil and exposure incident to the building up of a new home in a strange land, in addition to the weight of responsibility resting upon him from the newly built church, and the loss of three sons upon whom he had leaned, so wrought upon his health that for eighteen months past he was obliged to give up heavy labor and during a great portion of the time suffered the most intense pain. The direct cause of his death was cancer, which although it had not recently increased in size on his face appeared on other parts of his body and poisoned his whole system. During the last few weeks of his life his suffering was mainly caused by extreme weakness, although at times he endured much pain. On the 3rd, 4th and 5th of May he attended his beloved meeting for the last time. It was to him a special source of gratitude that he had lived to see the opening of a quarterly meeting at this place, and the few words that he expressed in the sessions of the meetings were full of tenderness and expressive of his earnest desire for the church he so much loved. During the last week of his life he was unconscious the greater part of the time, but in his lucid intervals he expressed himself as ready and anxious for the change that awaited him. When very near death, he looked upon his family gathered about his bedside and said, “Farewell all.” Later when suffering he said, “Oh Lord, take me,” and with these words upon his lips, his soul passed from earth, into the realms of eternal bliss, where were waiting for him the Master whom he loved a served with a true heart, and the half of his family that had preceded him. Glad must have been the “Welcome Home” when among the redeemed, his own met him at the beautiful gate. COATE: Besse details the sufferings of Marmaduke Coate of Hambridge, Somersetshire, a member of Yeoville Meeting. He was fined L. 20 in 1670 (enough to purchase seven head of cattle) and later that year imprisoned at Ilchester for his Quaker participation. In 1682 he cosigned a public letter professing his faith. In the summer of 1684 his daughter died, and those attending the funeral were fined five shillings apiece; in this minute he was described as a “reputable Yeoman.” Yet in 1686 he was still imprisoned, having served 15 years, seven months, and 23 days for his beliefs. We learn also of the 1683 imprisonment of Marmaduke Coate the Younger of Hambridge, and his 1684 persecution for not paying tithes to the national church. Finally, in August 17, 1689, Edith Coate of Hambridge and her son, Marmaduke, were imprisoned. At this point, we skip a generation (that of Marmaduke III) to Union Friends minutes in Ohio, which include Marmaduke IV and Mary (Coppic/Coppock) Coate. Among their nine children is Henry, born Eighth Month 18, 1770, presumably in South Carolina, and died Eleventh Month 24, 1848, and buried at Union. Also in Union’s minutes of Sixth Month 9, 1824, is the marriage of Samuel Coate, son of Henry and Mary, to Mary Miles, daughter of Jonathan and Mary, also of Miami County. Their children included Rhoda. Samuel died Second Month 28, 1847. COPPOCK: This is an old and prominent Pennsylvania Friends family said to be originally Mennonite. William Penn’s early ministry included work in Germany and the Netherlands, and thus, when he established Pennsylvania, Mennonite families were among the first to respond to his proposal. In fact, the first Friends Meeting in Germantown, now part of Philadelphia but then a rural community, was a joint Quaker-Mennonite congregation, worshipping for a time together; from this group came the first anti-slavery proposal in the Society of Friends, though it would take nearly another century to be accepted. 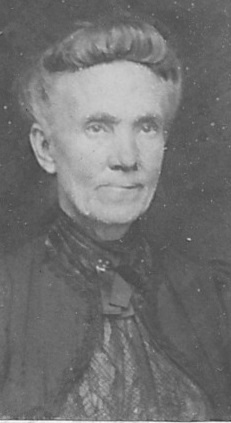 EVANS: Ann Evans ( no dates) married Enoch Pearson (1751/2-1839) in South Carolina. HASKETT: Mary (1780-Fifth Month 28, 1809) married Henry Coate, son of Marmaduke, and was the mother of Samuel and six other children. MILES: Union Friends minutes record Jonathan Miles, son of William, born Seventh Month 12, 1778, and died Sixth Month 14, 1868, marrying (no date; presumably South Carolina) Mary Pearson, daughter of Enoch and Phebe of South Carolina, born Eighth Month 12, 1783, and died Fifth Month 9, 1855. PEARSON: This is a large and prominent family in Friends history. One of its centers, like that of the Hodgsons, was in the County of Durham. More work will be required in tracing the particular lines to the Carolinas. A memorial to Enoch Pearson, however, in Memorials of Deceased Friends Who Were Members of Indiana Yearly Meeting, Published by Direction of the Yearly Meeting (Cincinnati, 1857) reveals the patient deepening of faith in a man who “maintained a fair character among his acquaintances, and was frequently called upon for little services to the church.” Nevertheless, “Much distress was permitted to be his portion before he came to the enjoyment of true peace.” We observe him continuing this religious readings and seeking, until he finds “the tendering power of the Holy Spirit mercifully visiting him, that he burst into a flow of tears and wept freely.” In time, “He felt impelled to call upon others and purify their hearts from the defilements of sin. It was about a year after he first spoke as a minister, before he again opened his mouth in that way. His communications for a while were short, but are noted as satisfactory. 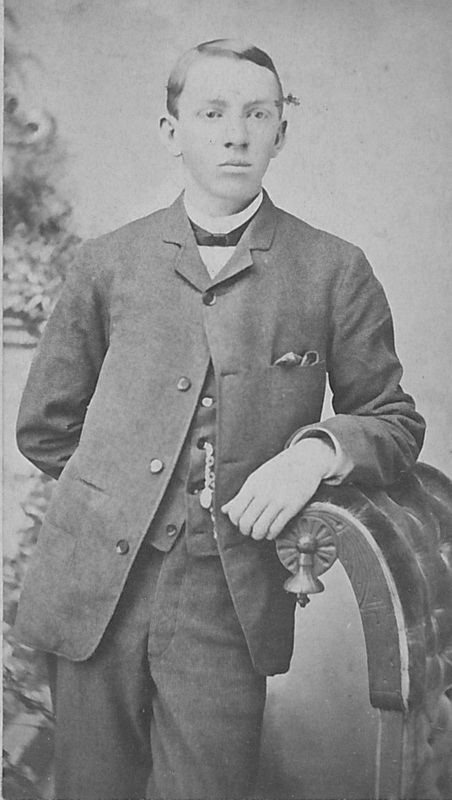 … He grew in grace and in his gift; and his calling and public testimonies are acknowledged to be in the life and power of the gospel.” Before moving to Ohio, “He performed a religious visit, with the approbation and to the satisfaction of his Friends, in Georgia and Tennessee.” Later, in Ohio, “With the concurrence of his Friends at home, he traveled considerably abroad in the ministry. He visited many of the meetings of Friends in Virginia, Pennsylvania, North and South Carolina, Ohio and Indiana; and some of them several times.” This, we should remember, by a man in his 60s and 70s journeying by horseback in frontier conditions! Pearsons are another family I meet up with again in my Hodgson ancestry. RODGERS: Presumed surname of the Mary who wed Samuel Pearson ( -1790). TUCKER: Also in Besse we find Quaker Tuckers, largely in Norfolk. Other early Quaker Tuckers are found in New England. More is needed, however, to trace the origins of Abraham and Mary ( ) of Montgomery County. Conductors of the Underground Railroad included, in Miami County, Jonathan Coates, Joshua Coates, Elijah Coate, Ephraim Miles, John Miles, Samuel Miles, and Isaac Pearson, and in Montgomery County, David and Henry Coates. At this point, I do not yet know which, if any, of these are actually related to Josephine Jones, and the Coates family might be unrelated to her Coate line. Still, this is an indication of the fabric she represents. Posted in Other sides.Tagged Americana, Genealogy, History, Quaker, Religion. Hi. I am related to Abraham and Mary Tucker, and have done some research on their lineage. I’d love to hear more or be pointed toward a link that others, too, may follow. Hope what I’ve presented adds to your perspective, as well. Hi we are related and share Abraham and Mary Tucker. My 3rd GG was Calvin W Coate and Mary Coppock.